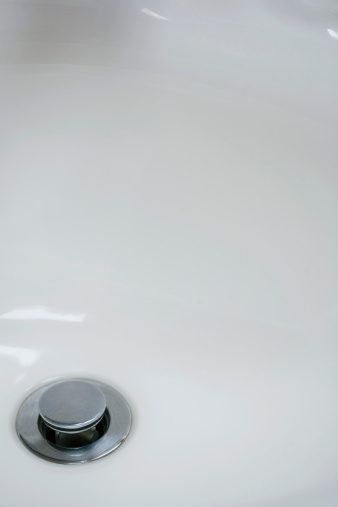 Over time, porcelain tubs may develop mineral stains from hard water or knobs and fixtures that have rusted or corroded. 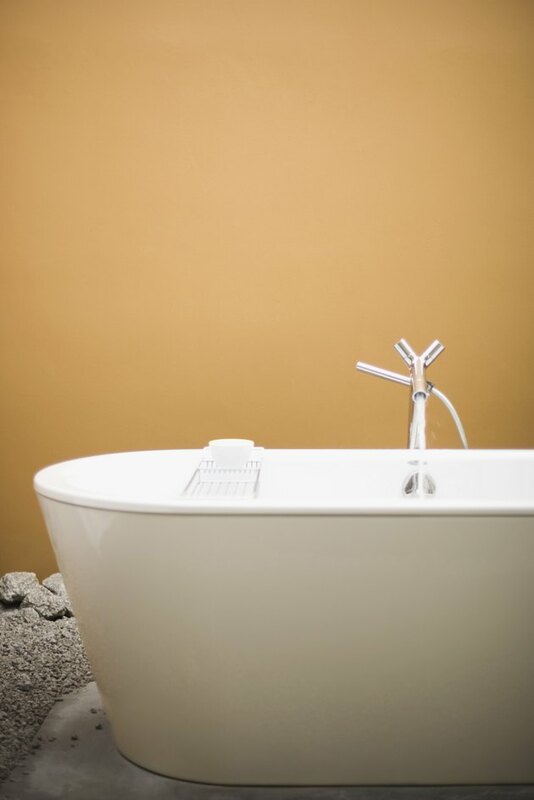 Additionally, soap scum, dirt and other debris may build up in other areas of the tub such as where caulking is used. Before applying other cleaning solutions with a bleaching agent over the entire tub, use acetone to spot-treat areas and remove soap-scum buildup and stains. Additionally, wipe acetone over the entire tub before applying any bonding or refinishing coats. Repair any porcelain chips before applying acetone over the area to clean. Wipe the tub with a rag dampened with warm water and remove any debris or buildup layered on top of the porcelain surface. 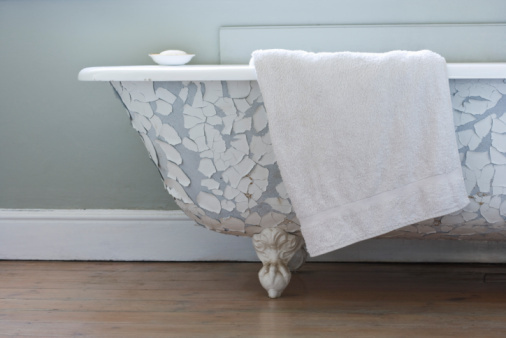 Wipe the tub with a dry rag removing any additional moisture. Dampen a fresh rag with a small amount of acetone. Place the rag over the top of an open acetone bottle, hold it firmly in place and quickly tip it upside down and back. The rag will dampen. If you are wiping the entire tub, place the rag in the sink and pour acetone on it until the entire rag is dampened. Rub the rag dampened with acetone over the spot on the tub. Allow the acetone to dry for a minute and determine if the spot is lightening. Repeat until the stain is gone.